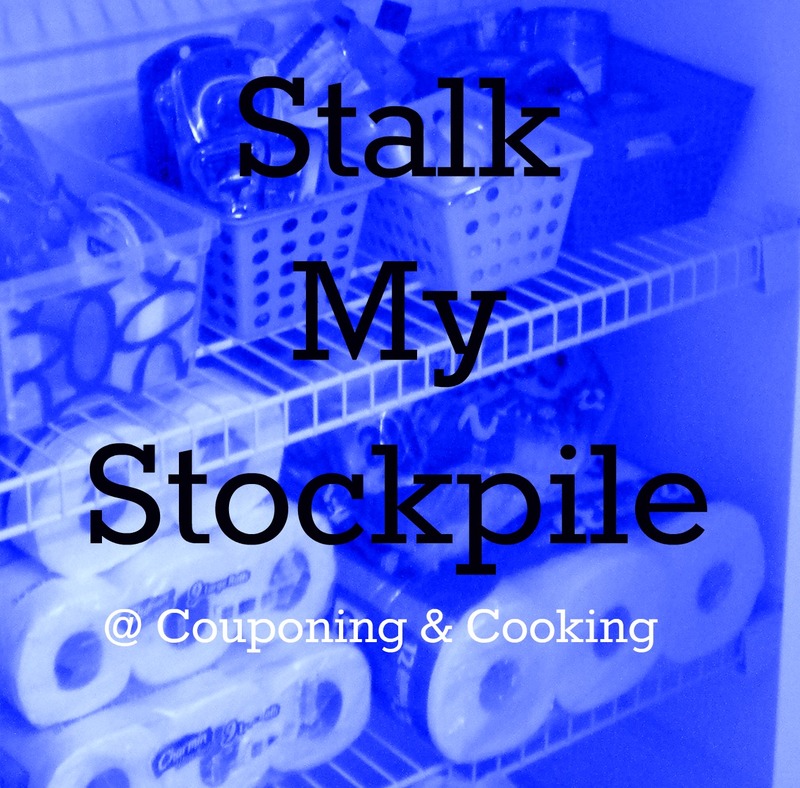 Make sure you check out Part One of the Stalk My Stockpile Series if you haven't already! All the stockpile items in these photos and those that will be in the rest of the series come from my weekly shopping trips. Check out my past trips for details about what I paid and the sale/coupon match ups I used to purchase these products. My health & beauty (H&B) stockpile includes personal care items, make up, beauty products, medicines, vitamins, razors, toilet paper, tissues and so much more. I currently store my H&B products in a large linen closet in my extra upstairs bathroom. The only things I don't keep in there are all my vitamins, medicines and other first aid products since I don't want them to get ruined by moisture. I am going to try and show you some close ups of each shelf and what I store there. Keep in mind that these products have been purchase over the last year and are bought using my weekly household/grocery budget of $50-$80 a week for all food, groceries, household items, H&B products and paper products. When I store most of my H&B products I try to organize them by earliest expiration date first. For products that don't have expiration dates like shampoo or tissues I make put my most recent purchases in the back of that products stash to make sure I use up the products I bought earliest before I use the newer ones. We also keep paper products and personal products in each of our three bathrooms so those are not pictured here. As you can see we are very well stocked on some things thanks to recent trips and deals and we are running low on a few things too. Hopefully we will see some good pricing on things like mouthwash, toothbrushes and other things soon. This photo was taken before I bought 8 bottles of Pantene Products today too. In my early couponing days when Justin was still skeptical about the merits of couponing I think that it was saving money on these types of products that convinced him more than saving money on food did. Before we got married he had a very bad habit of waiting until he absolutely HAD to have razors or shampoo before restocking and he was always having to pay full price. As I mentioned, my medicines, vitamins and other first aid products are stored in a different place than my other H&B items. I keep these in the upstairs hallway linen closet and store many of them in air tight containers to keep them from spoiling. I am constantly check expiration dates on these products so I can make sure we use or donate things before they expire. Where do you store your Health & Beauty stockpile? What is your favorite H&B item to get for cheap/free with coupons? 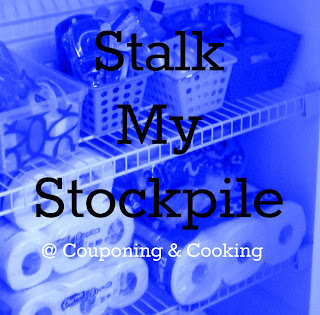 Join me over the next few weeks as I share more photos and information on my stockpile and how I store it. Wow! That's impressive! Thanks for sharing at the Pomp Party! Pinning! Your organization and stockpile is impressive!!! I don't stockpile anything..I just by when I need and never coupon. I have a lot to learn from you! Found you via the blog hop. Following you and would love a follow back. Very impressive! I wish I had the room to stockpile like this. I always have a couple of extra packages of everything but nothing compared to this. Time to start clipping coupons again. Thanks so much for sharing at Creative Thursday this week. Have a wonderful weekend. Way to go! I used to do a lot more of this and now, whenever I run out of shampoo and have to buy more, it just kills me! I need to get back in the habit of stocking up on these things. I still have tons of deodorant, floss, and toothpaste though! Visiting from Making Space Mondays! Great post. I would like to invite you to enter my HomeGoods 50 dollar gift card giveaway. The card can be used at TJ Maxx and Marshalls as well. I'm so glad that I'm following you! I've been searching for ideas for organizing my stockpile. This is awesome. Thanks for sharing on the Made in a Day link party. Awesome! My H&B products are stored in a linen closet, paper products in the laundry room. Definitely a huge savings to not have to pay full price! Thanks so much for sharing on busy Monday! Wow that's a lot of stuff! Maybe I should go back to couponing, lol! Added to the current association of the two are neighborhood coalitions and group associations, for example, religious associations. I am very amazed how organized your stuff is. I want to read more info about your advices so I can apply it as well. Organizing our things is very important because it can also affect our overall mood. With your great skill in compiling your stuff, can I use it as a guide in tidying up my art room? I'm sure it would help a lot! Check this out for more details. That is your makeup tool. Makeup tools like sponge and brushes always get in touch with your skin. If there are bacteria on the makeup tools in nigeria..
You can become blind without adequate medical care thanks to such carelessness. Love it, read clickmagick's review for sure. If you are considering buying Fibroids Miracle, then you will already know something about natural ways to treat fibroids..
We at Inventive Infosys are creating a Brand name and space online by helping bring other Business’s Ideas into Reality. We are here to cater to the needs of various sized Business Houses, helping them to establish their presence and Identity across the Global. We are here to help design, build and promote your website(s), software(s), Mobile applications, etc. Click here Web design USA.